Every year a CEEASC member agency hosts a meeting to share knowledge with the network and discuss joint business development opportunities. The last gathering was held between October 5-6, 2017 in Warsaw – productive and fun time! The CEE Alliance for Strategic Communication is a network of independent PR agencies aiming to foster knowledge sharing and business development in the Central Eastern European region. The pinnacles of our coorperation are the yearly meeting, where agency leaders and staff members meet to discuss political and economic trends, as well as media landscapes in their respective countries, share best practices and identify joint business opportunities. In 2017, the CEEASC team was hosted by Genesis PR in Warsaw it’s amazing how much the city has grown in just the past few years… Besides providing a venue for the event at their headquarters and taking the others to the best restaurants in town, Genesis also invited a client to talk through PR and public affairs needs in the market. 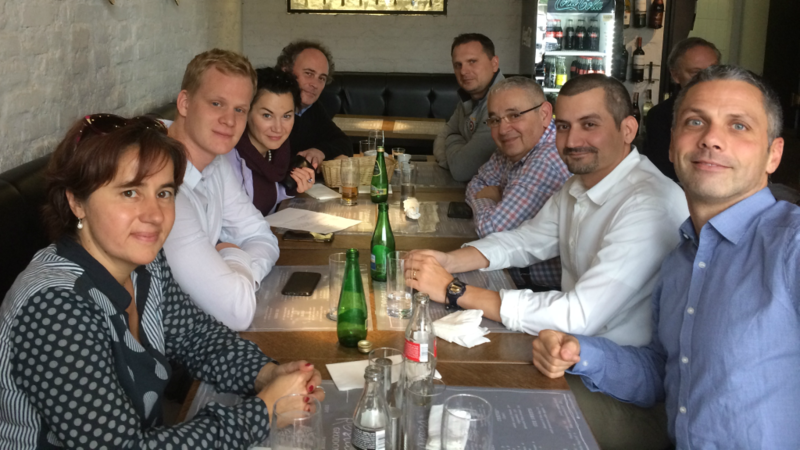 Altogether, it’s been a fun time with colleagues, business partners and friends – see everyone soon in Hungary!